Sock It To Em J.B.
After a period of non-stop touring for the band it was back to the Horizon Studios once again to record a second album. The band had been playing the same set for over 2 years so fresh material was needed and what was released was a definite step away from the bands ska roots. Jerry Dammers shared the production duties with Dave Jordon on a record that was to surprise both fans and critics. 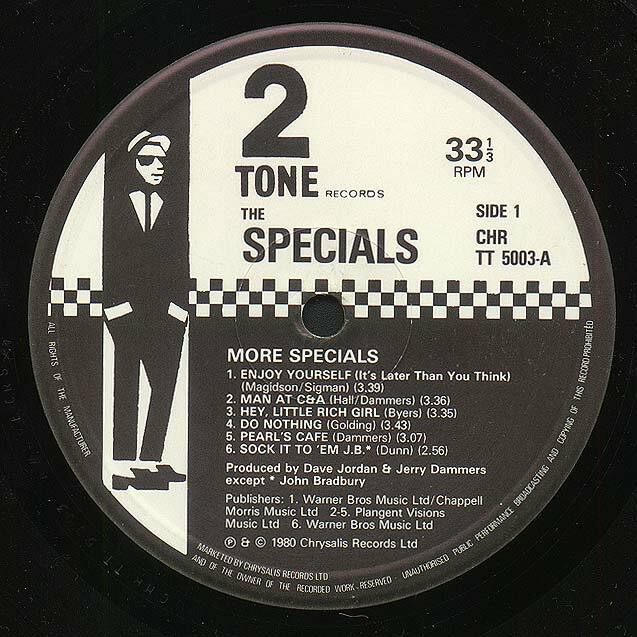 Rhoda Dakar shared some of the vocals on the album with Terry Hall and both Lee Thompson from Madness and Paul Heskett of the The Swinging Cats were brought in to add saxophone on 2 tracks. 3 members of all female band The Go-Gos, who had previously supported The Specials on a U.S. tour, also appeared on backing vocals. Jerry Dammers had developed a taste in easy listening music and added a definite "musak" feel to the album. 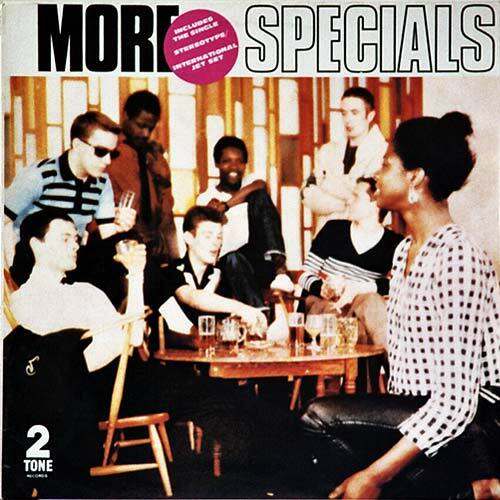 Tracks like 'I Can't Stand It' and 'Pearl's Cafe' were far departed from the bands usual ska stompers and Holiday Fortnight seemed the most un-Specials Specials track to date. The band also dipped into Northern Soul territory with a cover of Rex Garvin and The Mighty Cravers' Sock it to 'em J.B., which had been updated to include the then recent Bond films. The album produced 2 singles, a slight remix of Do Nothing and Stereotype, which was shortened for release as a single. 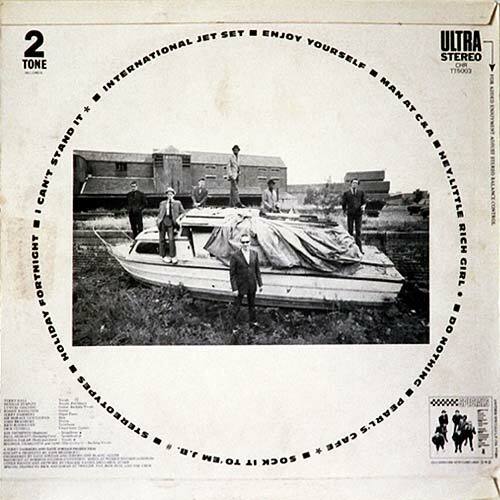 The bizarre choice of Hey, Little Rich Girl made an appearance on 7" in Japan backed by International Jet Set. At the time of recording 2 addition tracks failed to make it onto the album so were given away as a free single with initial copies of the LP, as was a poster of a slightly different shot of the front cover. However, these 2 tracks Braggin' and Tryin' Not to Lie and Rude Buoys Outa Jail (version) where included on the cassette version of the UK album. The sleeve of the cassette was yet another photograph from the same session. And to confuse the matter even more the photo used for the free poster in U.K. was used as the albums sleeve in Canada, the U.S & Spain. 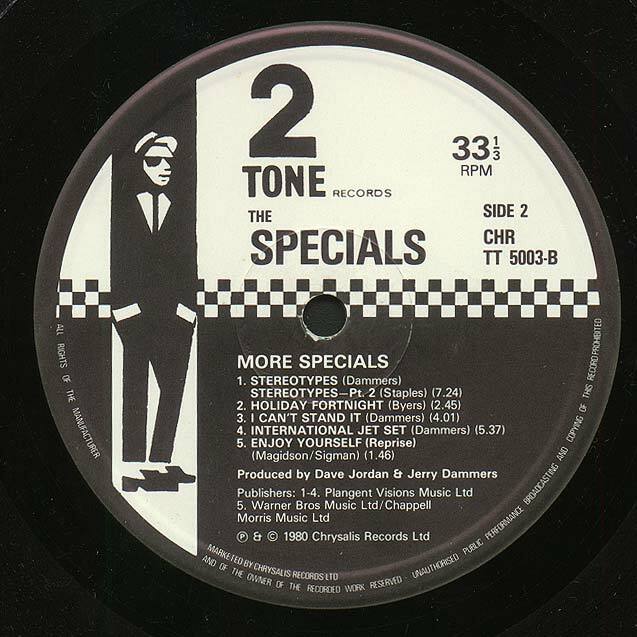 As with the bands first album, More Specials was released in Canada and the U.S. with an extra track, Rat Race.